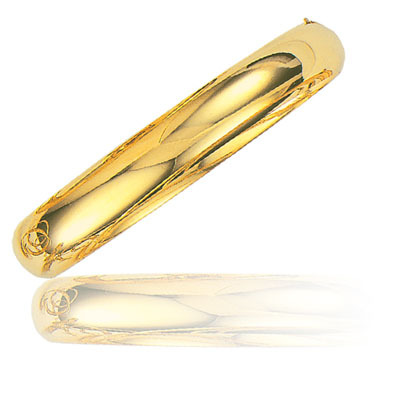 10 mm Classic Bangle in 14K Yellow Gold . This attractive Classic Bangle is jeweled in 14K Yellow Gold. Approximate Gold Weight: 13.30 Grams. An ideal bangle to suit your style.